Happy Birthday Wishes to VI Lottery Employees! VI Lottery Carnival Ticket is now on sale! 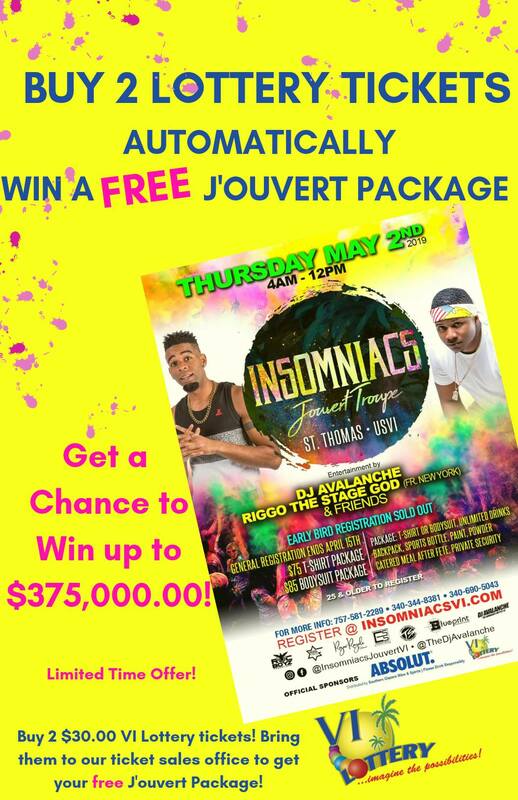 Buy 2 Lottery Tickets - Win a Free J'Ouvert Package! VI Lottery Butterfly Ticket is now on sale! Get a chance to win up to $375,000.00!